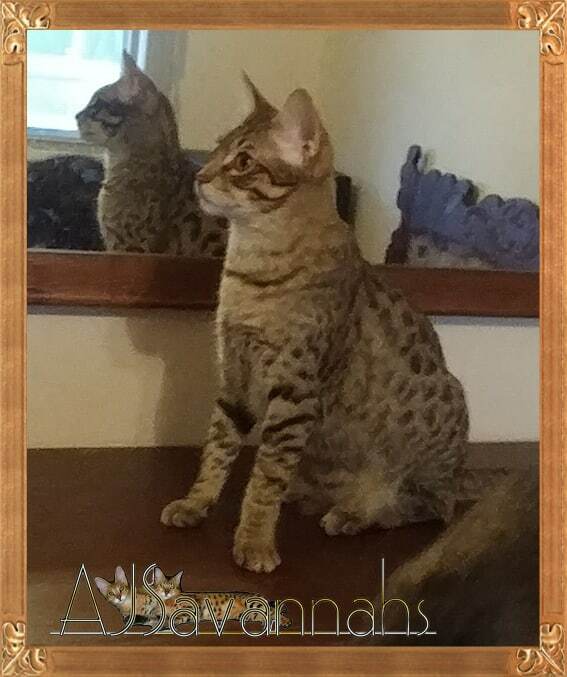 F3C kittens available now, 25 weeks of age. 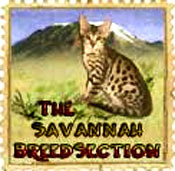 Already spayed or neutered, all vaccines up-to-date and ready for their new families. 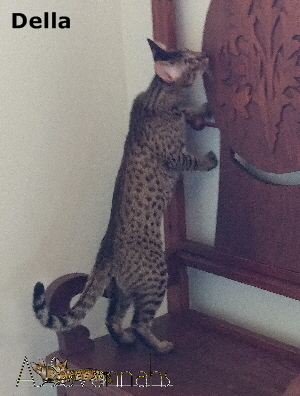 Elliott, weighing 13 lbs, 8 oz, is another of our Gentle Giants, already dwarfing his sisters Aleta and Della. 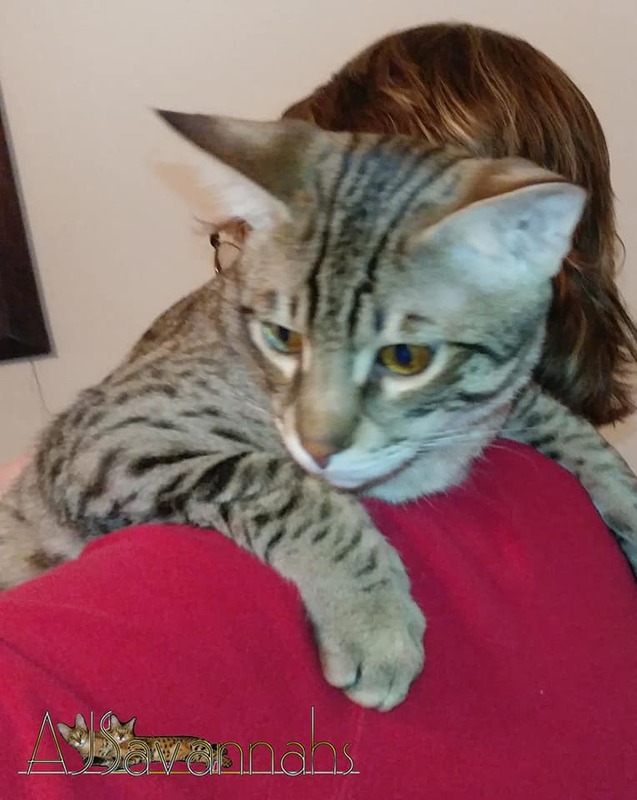 Elliott is a big baby and will sit in my arms and press his lips against my chin while staring deeply into my eyes. 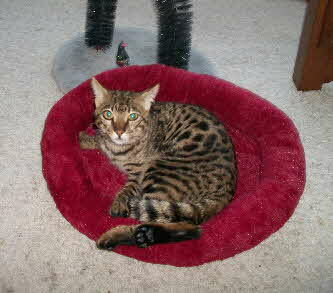 Aleta reminds us of our beloved F1 Gabatta, in coloring and in attitude, she’s beautiful, and she knows it! 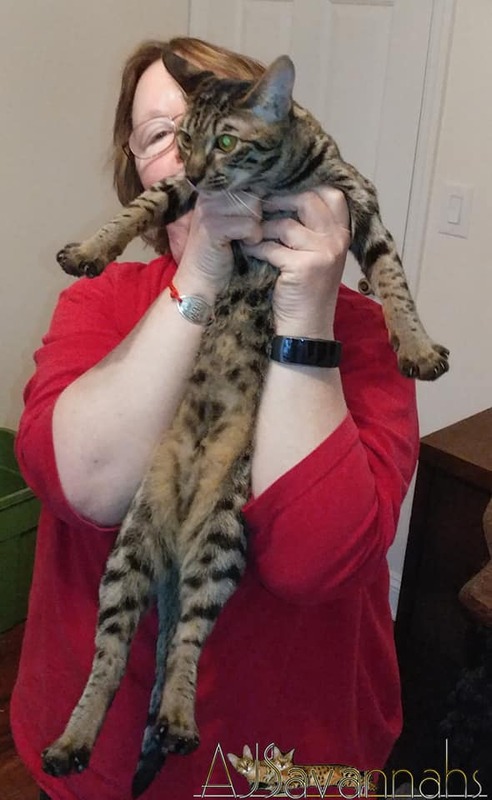 Della is all attitude and energy and she loves, loves, loves to be stroked and petted and will get so excited she’ll roll right off the cat tree as we rub her tummy. 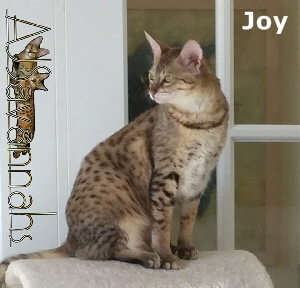 Joy likes to zoom around chasing toys or her sister Noelle, and she loves to be up high. If we lose Joy, all we have to do is look UP to find her staring down at us. 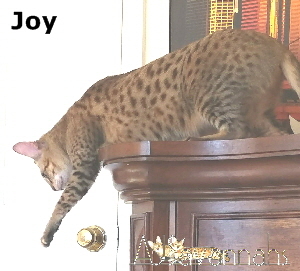 Joy likes to play hard-to-get and makes us work for her love. She prefers to be up on her cat tree as we pet her, but will sit on our lap once she decides we’ve been obediently subservient. 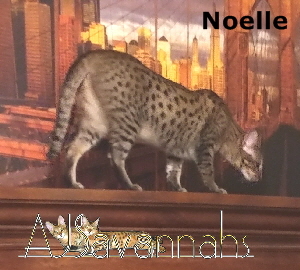 Noelle is much more active than her sister Joy, they make a great pair. 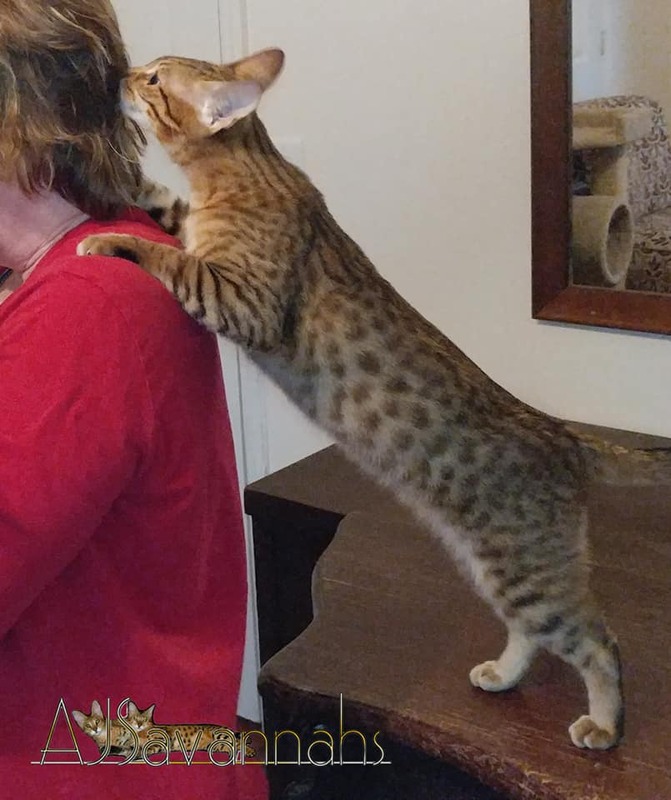 Noelle comes running to be held and can’t figure out why her sister plays hard-to-get. 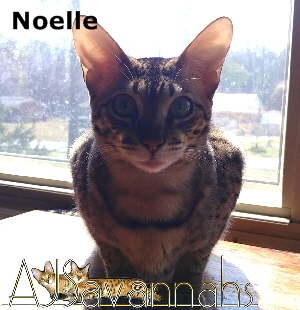 She truly loves to run and leap and chase her sister or play keep-away with toys. 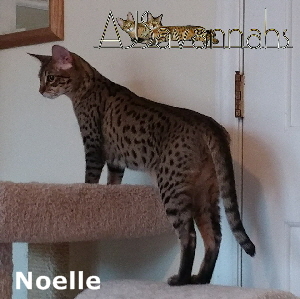 Noelle is very active, inquisitive and always up to a new adventure. 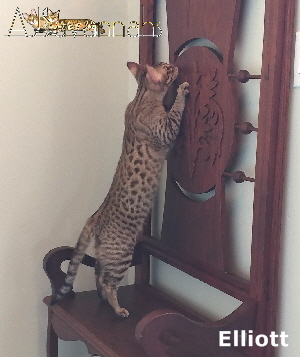 She’s also a bit of a Houdini and will move furniture over to the door to make it easier to sit and pick the lock. Joy and Noelle will be fine apart but we are offering special pricing if you have enough heart -- and space! -- to add both girls to your family. They will entertain you for a lifetime! Additional photos. 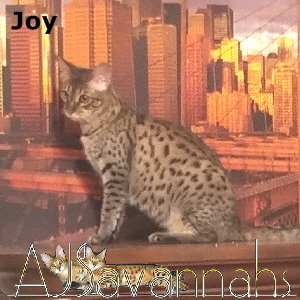 Additional photos on our AJSavannahs Facebook page. 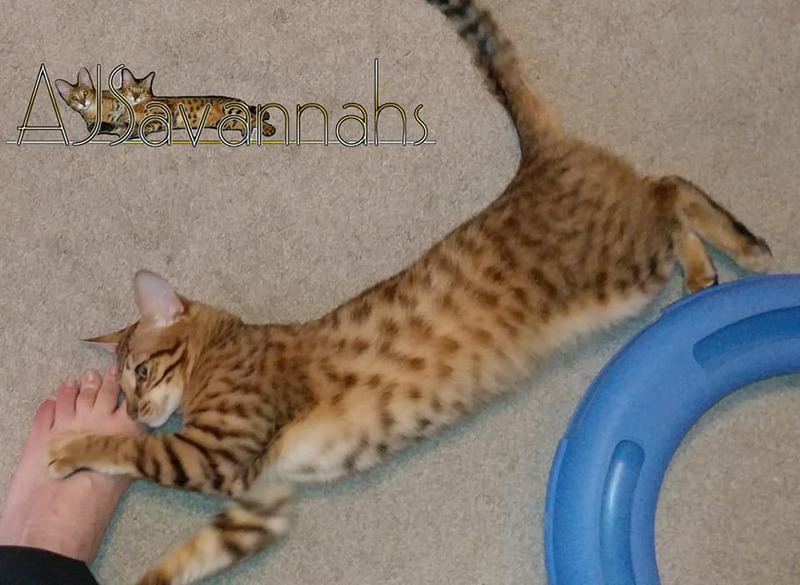 Please email or call and we’ll be happy to share details about our F2 and F3 kittens’ personality and temperament, individual pricing as well as an overview of our screening, placement and education process. before 10 p.m. EST, please. I fly with our kittens in-cabin and hand deliver to their new families. 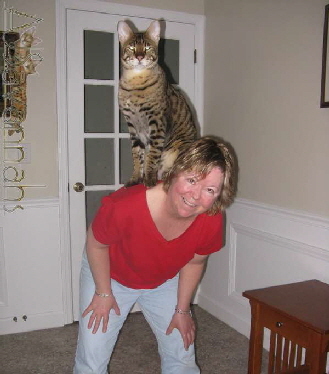 When booked in advance, the airfare and in-cabin costs are very similar to air cargo costs most breeders charge to ship their kittens as freight. We will drive limited distances to deliver. We’re quite certain you would not ship your spouse or child as air cargo. We will not ship our kittens as cargo, either. QUESTIONNAIRE, interview, and references required before any placement decision will be made. Questionnaire not necessary for initial consultation. 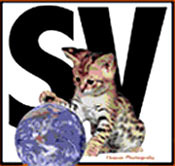 Please visit our Facebook page, link above right, for the most current photos. 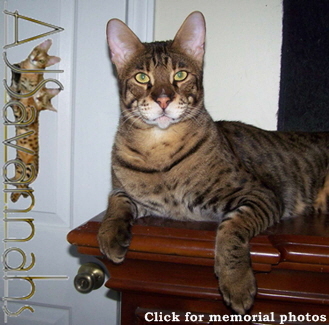 AJSavannahs is a veterinarian inspected TICA registered Cattery of Excellence. Proudly placing exceptional F2B, F3C and F4C family members since 2003. 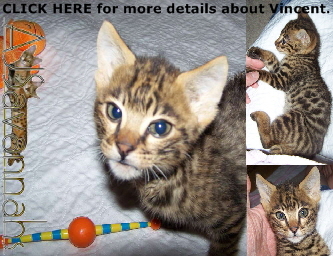 Click Vincent’s baby photo below for an inspiring YouTube video of his accomplishments. F2B Harvey decided to be mine. past his Duct Tape adventure).